Just for adults (over 18s only), this luxury static caravan situated on our smallholding in a peaceful, rural location, on the outskirts of the village of Rhosybol. 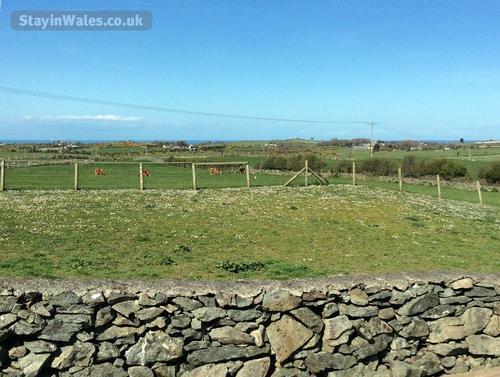 Close to Parys Mountain and overlooking fields, with sea views, which on a clear day reach as far as the Isle of Man. 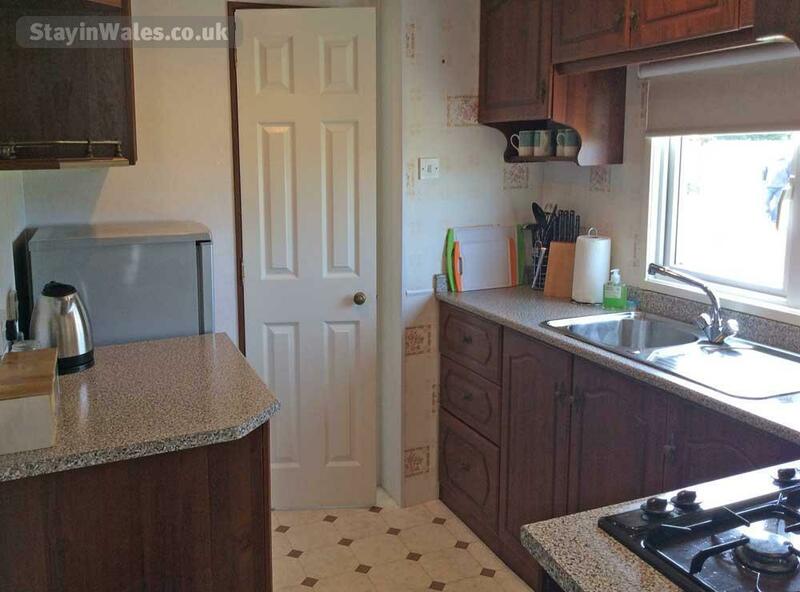 The caravan has three bedrooms - one double with en-suite shower room and two twin rooms, also a bathroom with bath and shower. Well equipped kitchen, oven, microwave, fridge freezer. TV, DVD player, radio/cd player. Wifi internet access. Available all year round, including short breaks. 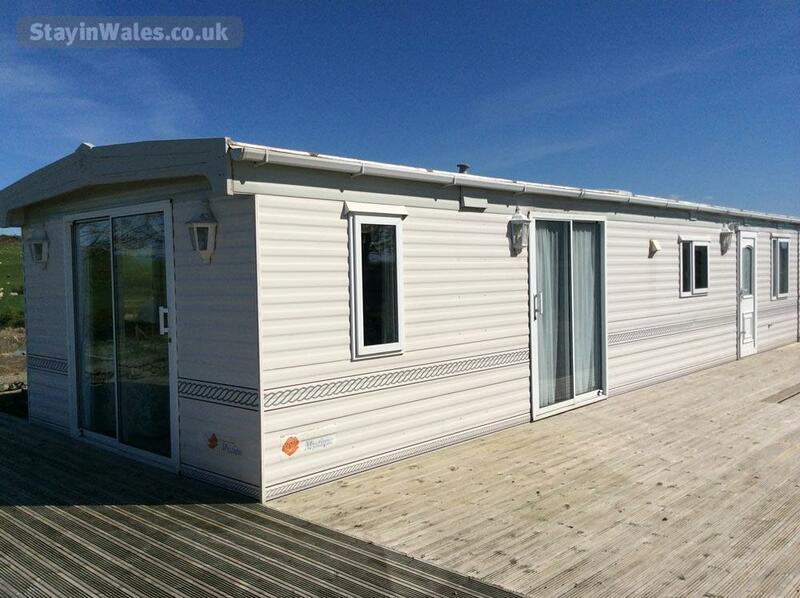 The caravan is centrally heated and has double glazing, making it cosy for winter breaks. 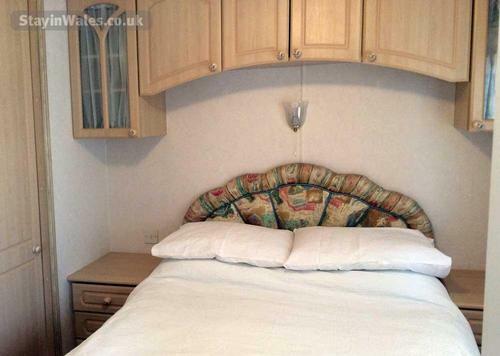 All bedding is provided and tea towels are also provided. A hand towel and bath mat are provided in each bathroom. A welcome pack awaits you on arrival, with milk, tea, coffee, sugar, bread, butter, fresh eggs from our own chickens and a homemade treat. 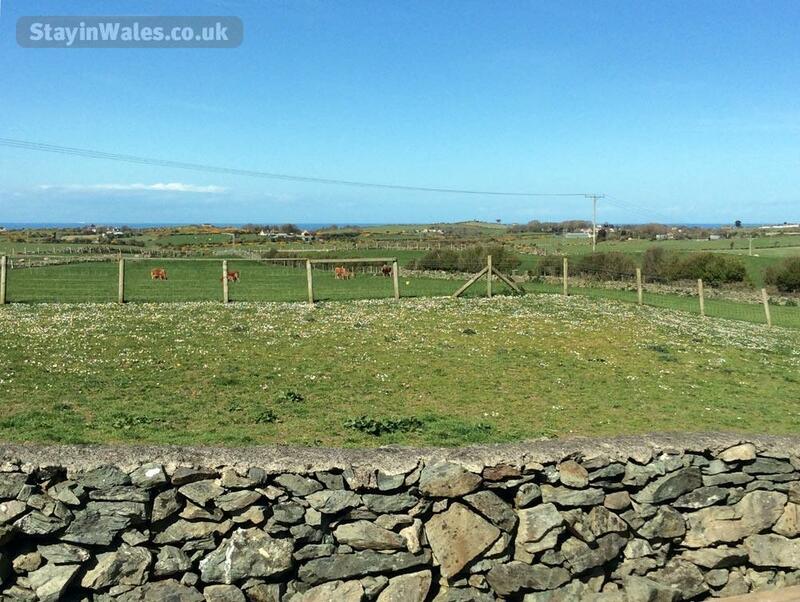 A great base for exploring Anglesey and North Wales, ideal for walking on The Anglesey Coastal Path. The Bull Bay Golf Club, in it's stunning location is just a few minutes away, offering fantastic facilities for visiting golfers. The area is Ideal for walkers, bird watchers, golfers or those just wanting to relax and enjoy the peaceful surroundings. A non-refundable deposit of £50. is payable to confirm your booking. The balance to be paid 14 days before the start of your stay or in cash on arrival. If booking within 14 days of your stay, the full amount must be paid at time of booking. Check in is from 3pm on day of arrival and checkout is by 10am on day of departure. Flexibility may sometimes be possible but only by prior arrangement. 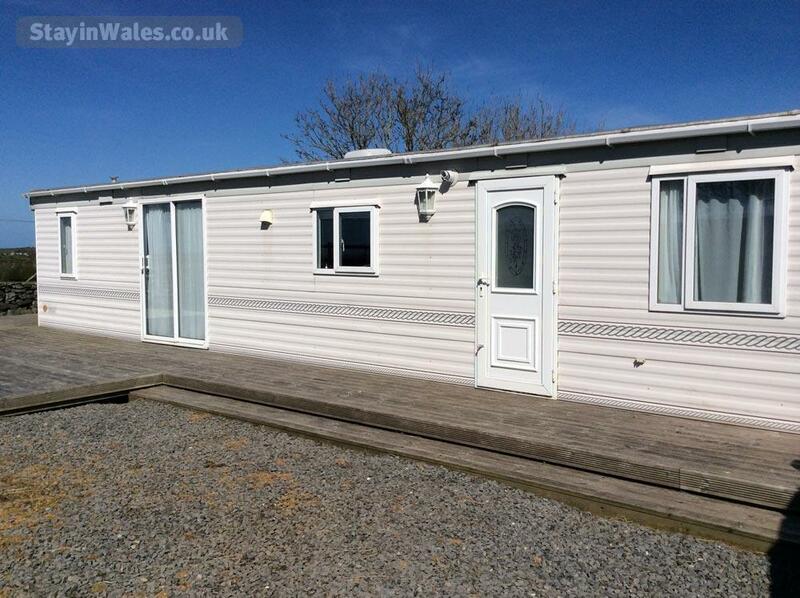 Smoking is not allowed inside the caravan. If smoking outside the caravan an ashtray must be used. Sorry, we do not cater for children or pets.